Some nights are remembered by their nightmares. Some are remembered by a man conquering them. 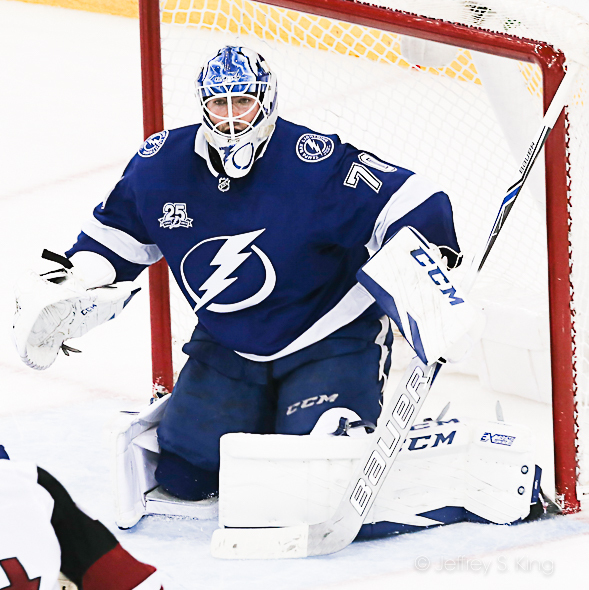 Take Louis Domingue, the Bolts' shaky-but-solid goaltender. Domingue started Saturday night wit the worst possible way, falling behind 4-1 to the last-place Florida Panthers. It took Florida only eight shots to take the lead. It was one-of-those nights for Domingue. Domingue was solid after that, stopping the last 19 shots he faced as Tampa Bay won a 5-4 comeback. Domingue now has more victories on the season (10) than starter Andrei Vasilevskiy (9). "You look up and the poor kid’s got two goals on him on three shots in the period," Lightning coach Jon Cooper said. "But when the game’s on the line and you need the timely save, I think it was (Mike) Hoffman who had the breakaway, he stopped that. He stops a big one in overtime on (Aaron) Ekblad. "Those are the saves you need to give your team a chance to win, and he’s finding a way to give us those saves. We’re getting points out of it. Good on Louis to hang in this game the way he did and pull it out for us. 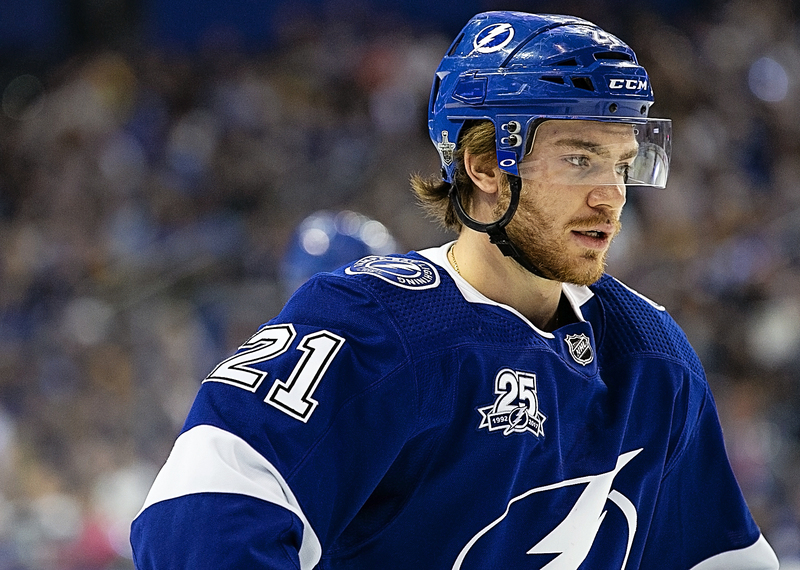 The Bolts won when Brayden Point scored the winner for the Bolts 3:12 into overtime. It was Point's 19th goal, and his third game-winner of the year. Point has scored the most game-winning goals (15) in the NHL since the start of the 2017-18 season. “Just a great pass by Kuch, through the guy's legs," Cooper said. "I just tried to stop it and make sure I put it in. Reimer gets across. He actually gets a blocker on it but still found a way into the net. Just a great pass, and I just wanted to make sure on it. The Bolts didn't panic despite their three-goal deficit. “We’re a confident group," Victor Hedman said. "We believe in what we have in this room. We know a hockey game is 60 minutes, not 20, not 40. Even though we were down three, we thought we were the better team and we knew we have the strengths on this team to come back from a deficit like that. The Bolts also got goals in their comeback from Alex Killorn (his third in four games), Nikita Kucherov, Mattieu Joseph and Cedric Paquette. Tampa Bay, 19-7-1 on the season, now travels to New Jersey on Monday. The puck is scheduled to drop at 7 p.m.